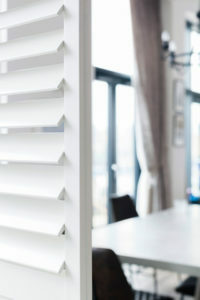 This design project highlights our S-Craft shutters. Our client had a Riverside flat with contemporary kitchen/living room area that had a very prominent window space in the corner of the room. 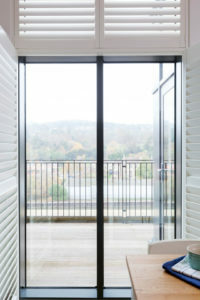 They wanted a product that would cover the unique window area and able to provide privacy and light control for the flat. During our design visit we surveyed the flat and recommended wooden shutters. 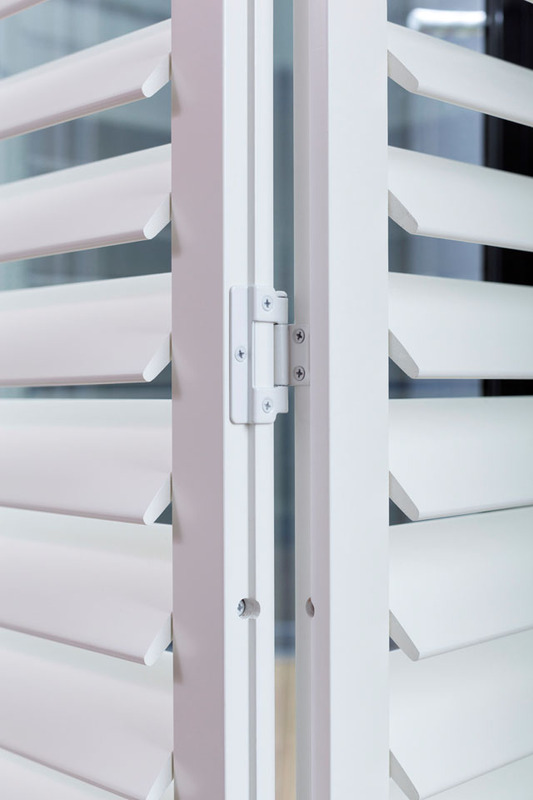 From our experience, S-Craft shutters can easily cover many types of custom window, fitting extremely well in almost any architecture. They also have superb light and heat control features which work well throughout the year. 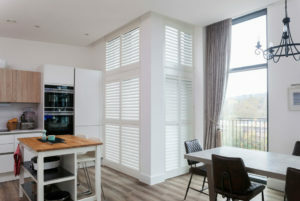 The S-Craft shutters featured are 76mm Cuba shutters. 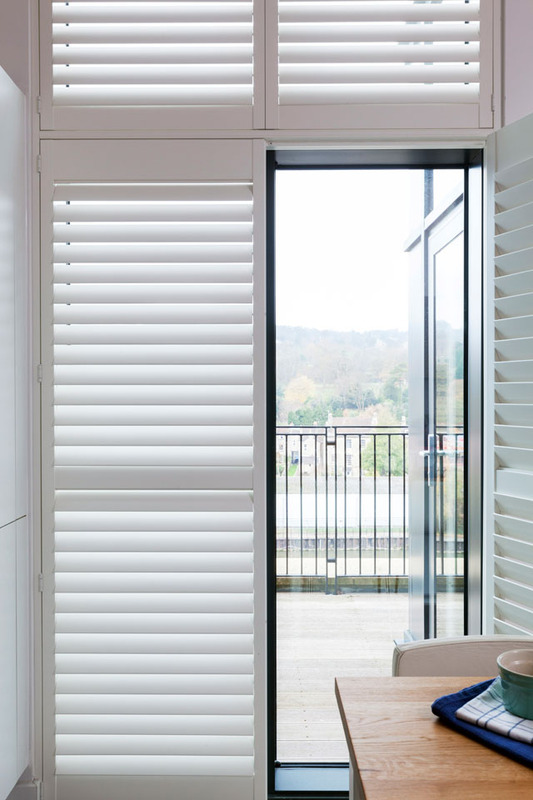 This type of shutter is made from a blend of sturdy MDF frame and hardwood shutter panels, designed to be lighter in weight in order to cover large windows. 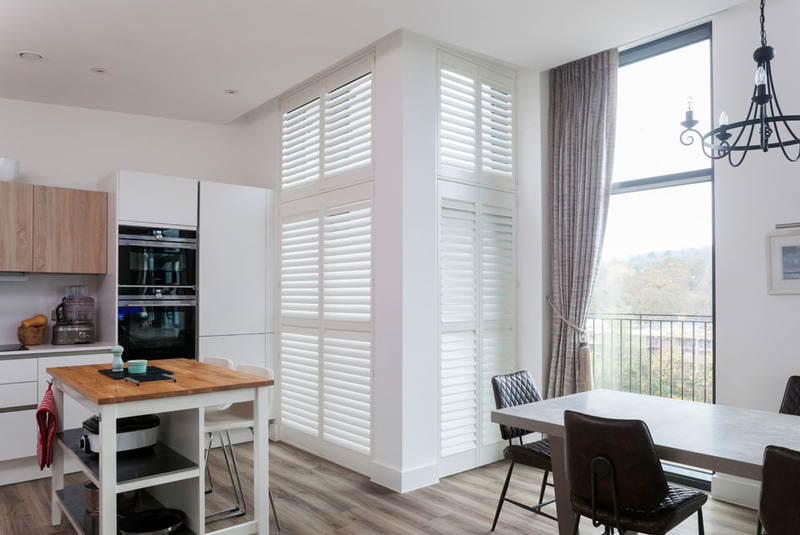 These wooden shutters have a silk white finish that matches the neutral decor of the flat’s kitchen area. 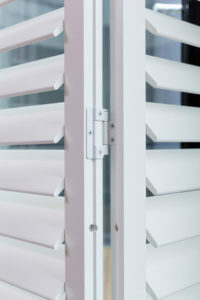 The customer also opted to have hidden tilts fitted in the shutters for easier use. 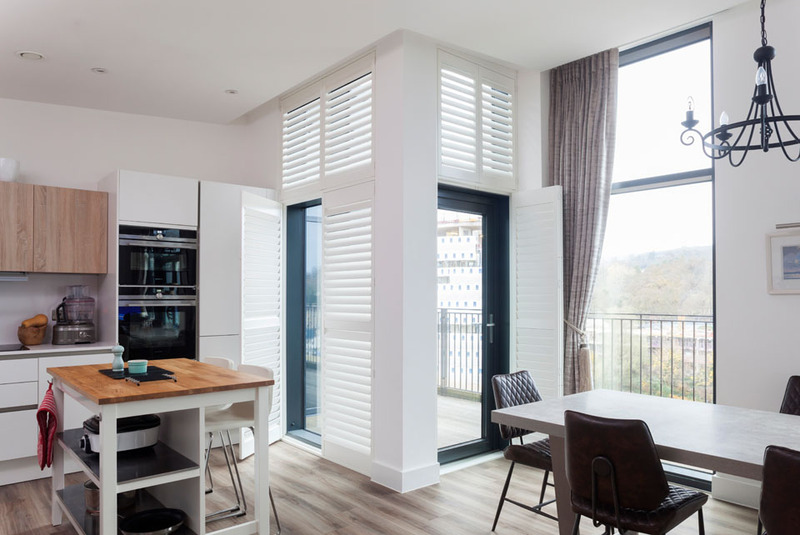 Hidden tilts are a great control option for shutters as they are unobtrusive and simple to use, especially in a busy kitchen. 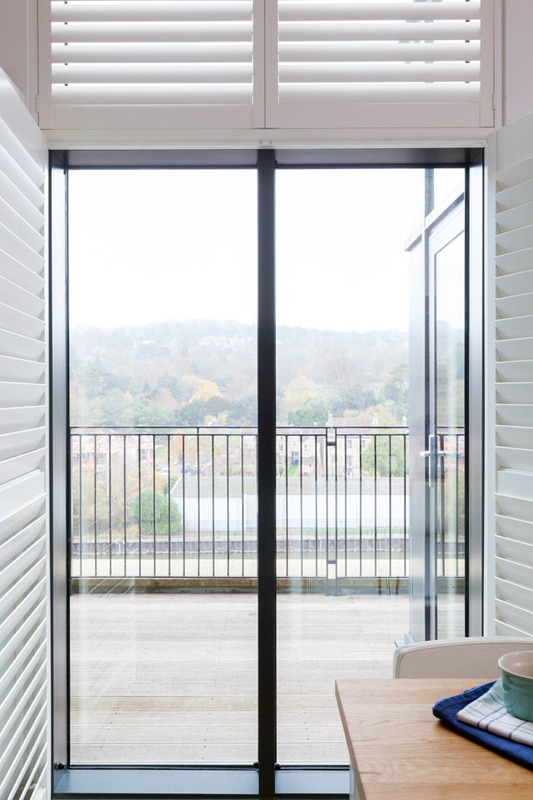 During the design visit, the client also added curtains to their order as an extra feature to compliment the shutters creating a very personal finish to their home. 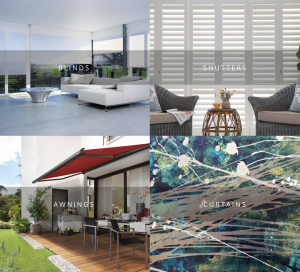 This is a great example of how our customers can discover new products or combinations that they may not have considered before, by visiting our showroom and meeting our interior designers. 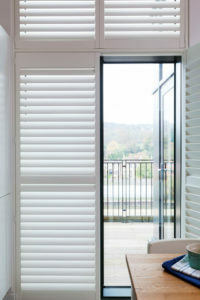 Overall this was a fantastic shutter job and a very satisfied customer! 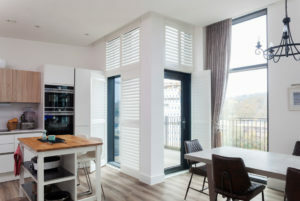 Find out more about our wooden shutters on our shutters page.